soccerloco is the best place to shop online for soccer goods - we've got the biggest selection and the lowest prices on the web. We have a large online collection of apparel and gear inspired by soccer star Chicharito and the teams he plays for, all built to last by trusted manufacturers. Our apparel choices are meant to keep fans and players alike comfortable on the sidelines or on the pitch. Shop soccerloco now to outfit yourself or someone you love with quality gear and clothing to show off your pride for Chicharito, Manchester United, the Mexican National team and more. Our Chicharito apparel and gear is built to high standards of excellence by top names in the industry like adidas and Nike. Dri-FIT from Nike and climacool from adidas, make our Manchester United and Mexico jerseys exceptionally cool and comfortable. The Manchester United jerseys can be customized to include Chicharito's name and number or those of his teammates and the Mexico replica tees we carry are a great way to capture the team's look with a more casual feel. We've got soccer balls representing both teams that are an awesome way to show your support. Everything in our store, from our Tiempo cleats to our Mexico flat brim hats, features the best value on the web thanks to our choice to carry high-quality products at the lowest prices for you. 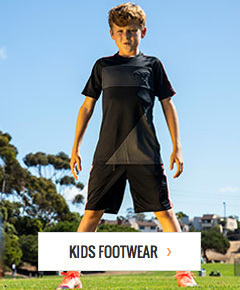 At soccerloco, you'll find the largest selection of apparel, gear, and cleats at the lowest prices around. We've sweetened the deal with flat-rate shipping so your costs stay low; a challenging feat when shopping online. If you're unhappy with any of the Chicharito items you get from us for any reason, send them back; returns are fast and simple at soccerloco. When you want to get the most bang for your buck, shop for your Chicharito products at soccerloco, the leading online retailer of all things soccer. Shop soccerloco today to get the best deals on high-quality clothing and equipment inspired by Chicharito and the teams he plays for.